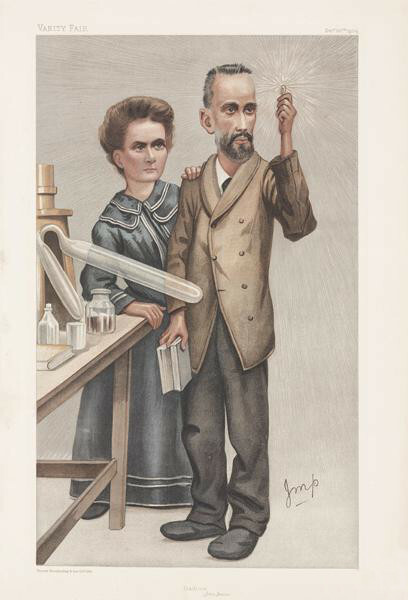 Pierre and Marie Curie had discovered radium by measuring the radioactivity of pitchblende, an ore from which uranium was extracted. The radioactivity of pitchblende was much greater than that of pure uranium. In fact they found two different levels of radioactivity which led them to conclude that two different elements – radium and polonium – were present in the ore. As I discussed last time, the conclusions were good enough for most physicists to believe the discovery, but the chemists wanted to see the isolated elements. 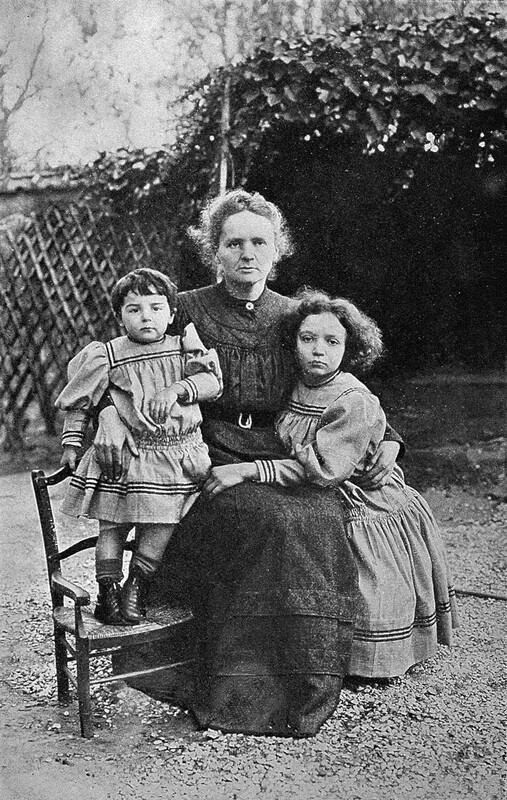 So, Pierre and Marie Sklodowska Curie undertook the task of separating the elements, particularly radium, from the pitchblende. Separating radium from the pitchblende was not easy. As I noted last time, they had a laboratory to work in, even if it was space considered not good enough for cadavers. Then, of course, they needed to obtain the ore. In one way, that was easy. Large quantities of pitchblende were available from a mine in Bohemia owned by the Austrian-Hungarian government. The ore was considered useless because the uranium had already been extracted from it. The Curies could have the ore at no cost; they just needed to transport it from the mine to Paris. An anonymous benefactor, believed by some historians to have been Baron Edmond de Rothschild, provided the funds to transport the material from Bohemia to Paris. So, they obtained several tons of pitchblende, which was delivered in large sacks. The process of separating the radium from the ore was a tedious application of chemistry. It involved many steps in which the ore was ground, dissolved in acids and other liquids, separated or filtered, and tested for radioactivity. Once they had a residue which was more radioactive than the material that they started with, they repeated the process. A reasonable description of the process is shown in an episode of The Six Experiments That Changed the World. This video must have used material other than pitchblende. The actors in the video are much too cavalier in their handling of their “pitchblende.” Today’s safety standards for handling radioactive material would not allow the approach shown in the film. They also use modern equipment. 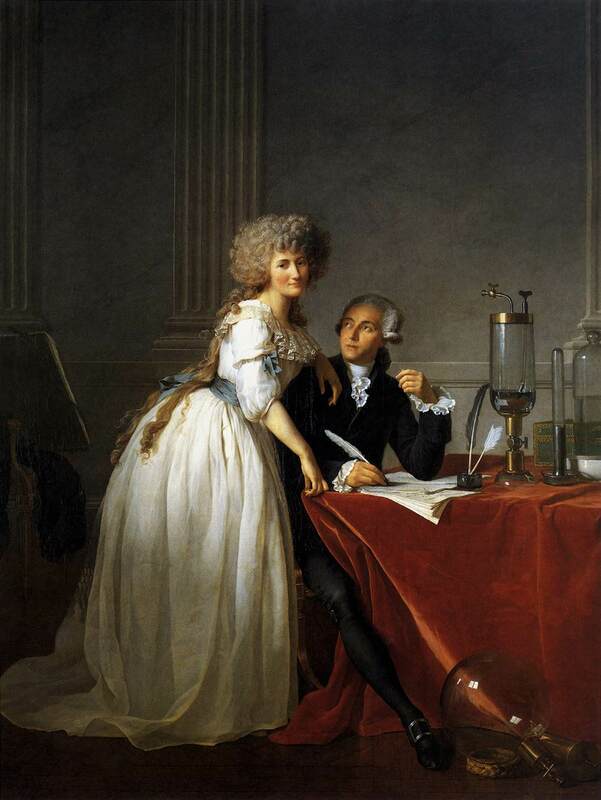 For, example, Marie and Pierre did not have a Geiger counter. However, the video does represent reasonably well the way that the Curies handled pitchblende. They had no idea about the dangers of radioactive substances. A particularly nasty element of which they knew nothing is radon. Today, we are told to test our basements for this radioactive gas because it is quite harmful. It is a product of the radioactive decay of radium. Because the processes that the Curies were using involved frequent boiling of the materials, they were without doubt releasing this radioactive gas and then breathing it. They were able to get some help, particularly from André Debierne and industrial firm, Central Chemical Products Company, which sold some of the scientific instruments invented by Pierre. The company took on some of the initial steps in the extraction with Marie concentrating on the final steps. After three years of tedious work, they were able to obtain one-tenth of a gram of radium chloride from about one ton of pitchblende. Conducting this research was not the Curies’ only effort. Both of them were teaching. In addition, in 1897 Marie gave birth to their first daughter, Irene. Both the hazards and benefits of radioactivity were quickly discovered. After hearing of a couple of burns incurred by other scientists, including Henri Becquerel, Pierre taped some radioactive barium to his arm. The result was a red burn that took 52 days to heal. By this time both Marie and Pierre were noticing that their fingers were sometimes hardened and painful. Some of these experiences led to experiments about the health benefits of radioactivity. Reports of cures or reduction in tumors were published. Many good books and web pages can provide much detail on the how radium and other radioactive elements were used and mostly misused in the early 20th century, so I will not pursue that topic further. Instead, I will focus on a few stories about the Curies. What’s the Source of Radiation? On the scientific side was the question of where the radioactive particles came from. Were they somehow emitted from the atom or did the atom do something to its surroundings and cause them to be created there? At the time of this discussion, the nucleus had not been discovered (more about that next time), so everyone talked of the atom as the smallest unit of an element. Ernest Rutherford took the view that these radioactive emissions were coming from the atom. Pierre Curie argued in favor of the radium atom causing the emissions to come from the surrounding material. Of course, neither of them had any experimental evidence for his point of view. Eventually, Pierre came around to Rutherford’s view, but until much later no evidence was available to support either of them. Pierre and Marie Curie were nominated for the Nobel Prize for the first two years that it was given. However, they were passed over. In the third year of the prize, a rather strange event happened. Four members of the French Academy of Science sent a letter to the Nobel Committee in which they gave all of the credit for isolating radium to Pierre. They nominated Pierre Curie and Henri Becquerel for the prize and omitted Marie. The lack of caution in handling radioactive material greatly affected both of the Curies. They were too ill to attend the Nobel ceremony in 1903. The illness came and went, so in the summer of 1905, they felt well enough to travel to Stockholm where Pierre gave a Nobel lecture. However, he was soon feeling bad again. On April 19, 1906, Pierre was walking in the rain. Apparently, he was not paying attention to traffic and walked in front of a horse-drawn wagon. He was killed instantly when the rear wheel of the wagon struck his head. Some historians believe that radiation poisoning contributed to his weakness. Thus, he was unable to avoid the fatal blow once he had accidently stepped in front of the wagon. Marie was devastated and took a long time to recover from Pierre’s death. Eventually she did continue the research that she and Pierre had shared. In addition to her research, she provided a critical service during World War I. She learned that soldiers’ lives could be save if only X-ray equipment were available at or near the front. To address this need, she developed portable X-ray units. For the first one, she received a gift from the Union of the Women of France. With this money, she purchased a Renault car and had it converted into an ambulance. She then had X-ray equipment installed in the car. 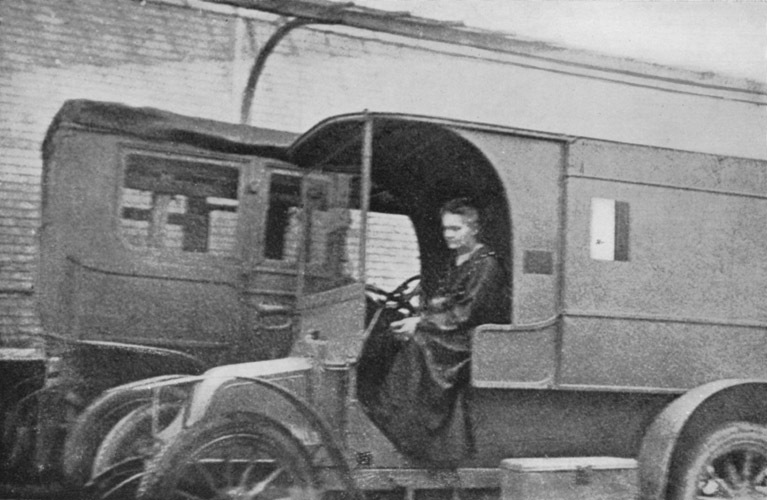 She personally drove this vehicle to locations near the front lines, frequently accompanied by her daughter Irene. She obtained about 20 other vehicles and outfitted them in a similar way. The X-rays provided by the equipment in these vehicles, called “little Curies,” have been credited with saving the lives of thousands of wounded soldiers. 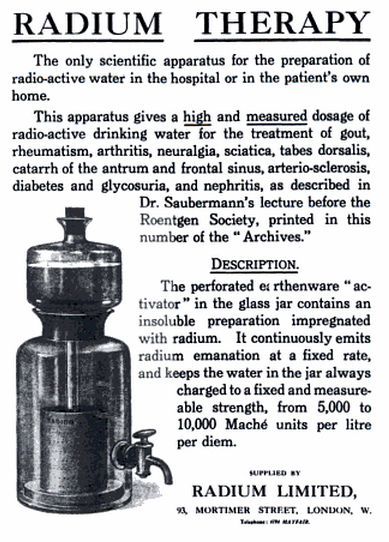 Marie’s work in radioactivity and its medical applications continued after the war. You can find many books, web pages, and videos about her. One of the most famous is a biography by her second daughter, Eve. If you are interested in more information, just search. A good short biography of both Curies is on the Nobel Prize website. While the Curies were undertaking their work, a couple of other major contributions to our understanding of matter were being developed. The beginnings of quantum physics were under way as well as the use of radioactivity to probe deeply into the atom. In the next post, I will take a look at probing the atom and the building of a model of the nuclear atom. After that, we will back up a little in time and consider some of the early ideas in quantum physics. The last half of the 19th century saw a variety of advances related to our understanding of atoms. We discussed a very important one last time – Balmer’s formula for the wavelength of the visible lines of hydrogen. This equation created a challenge that needed to be explained by any successful model of the atom. That challenge would not be met until the 20th century. In the meantime, scientists pursued research, some with advances and some with dead ends. One mathematical model which indicated that matter was made up of small objects was the kinetic theory of gases. This theory is a way to understand how and why pressure, volume, and temperature are related in gasses that are trapped in a container. The gas is hypothesized to be a collection of small hard particles. In the simplest model, these particles are spheres. The small particles are moving in random motion with many different speeds. However, the temperature is related to the average speed of the collection of particles. Many scientists such a Rudolf Clausius (1822 – 1888), James Clerk Maxwell (1831 – 1879), and Ludwig Boltzmann (1844 – 1906) contributed to the development of our understanding of the relations among measurable variables of gasses and some small particles in constant motion. To see simulations of these relationships, you can play with the computer visualization at PhET. While kinetic theory provided strong evidence that gases probably consisted of small particles, it did not help scientists understand the structure of the particles themselves. This theory was developed mostly with the idea that the particles were too small to see and that they bounced off each other and the walls of their container. Another theory developed about the same time did try to go deeper into the structure of the atom. To understand it, we need first to look at a “solution” to another mystery of that time. The mystery involved the propagation of light and forces acting at a distance. Light was shown to be a wave phenomenon early in the 19th century. However, waves, such as water waves, moved through a medium. So the question was: how could light get to us from distance locations such as the sun? There seemed to be no medium through which these light waves could move. 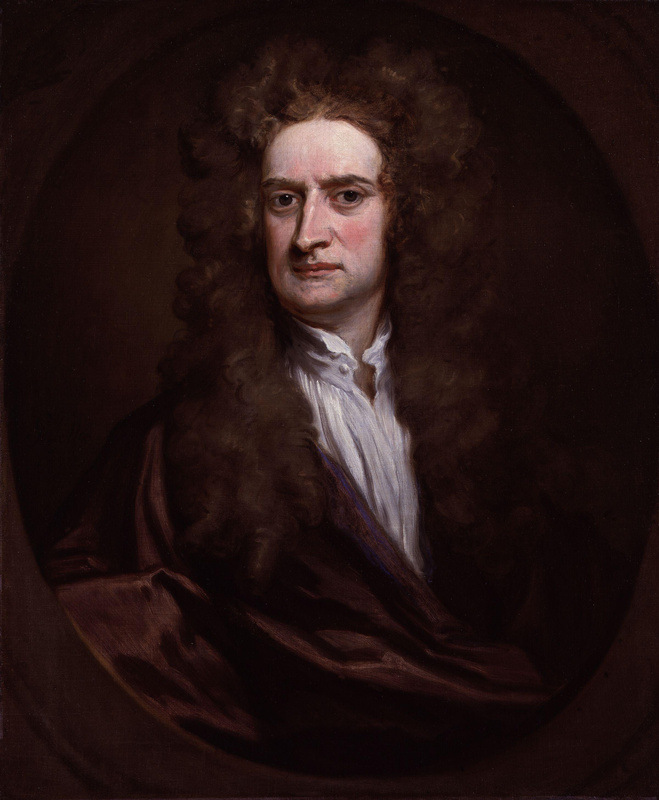 Likewise, forces such as electrical, magnetic, and gravitational forces acted at a distance. How could that action occur if there were no medium through which the force travelled? The solution was to propose a substance called the ether (or aether). This substance filled all of space and thus offered a medium for the various forces and light. However, because no one had ever detected it, the ether needed to be invisible and not measurable in any way. Peter Tait (1831 – 1901) became interested in these ideas and developed an experiment for creating smoke rings which behaved as vortices. 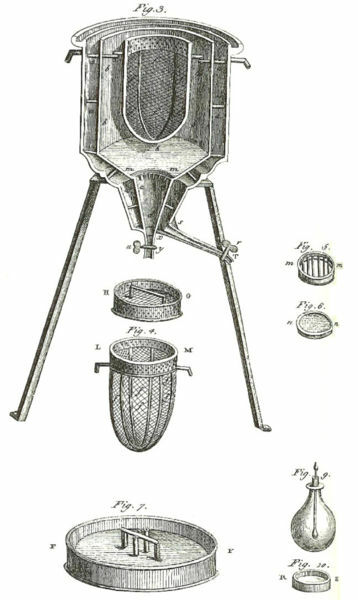 His apparatus is shown below. Tait showed his smoke rings to William Thomson, who was later to become Lord Kelvin (1824 – 1907). He demonstrated that these smoke vortices were remarkably stable. That they could be cut with a knife but would reform and that they could collide with each other but held their shape. These experiments together with Helmholtz’s mathematics reminded Kelvin of the properties of atoms. In 1867, Kelvin wrote to Helmholtz that if there is an ether, a vortex ring in that ether “would be as permanent as the solid hard atoms of Lucretius …” (quoted in Helge Kraugh, “The Vortex Atom: A Victorian Theory of Everything” Centaurus, 2002). With this thought, Kelvin and others started developing a theory of atoms as vortices in the ether. 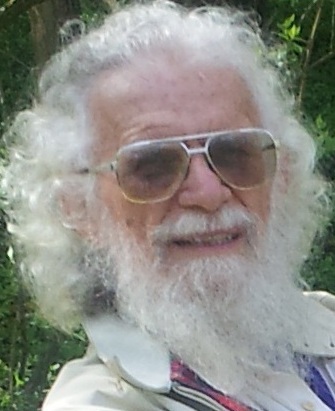 Many people got involved in the studies of vortex atoms. I will mention only a few. William Mitchinson Hicks (1850 – 1934) showed that a hollow vortex atom would vibrate. These vibrations would presumably lead to the emission of light and thus explain the spectrum emitted by the different atoms. However, I cannot find evidence that he was able to match data with the vibrations. Joseph J. Thomson (1856 – 1940) was a rather young physicist when he became involved in vortex atoms. He seems to be the first to notice a connection between Mayer’s floating magnets and the periodic table. He attempted to use the vortex model to explain some chemical properties. In 1883, he published an essay “Vortex Atom Rings.” Most importantly, his studies on vortex atoms caused him to become interested in electricity and electrical discharges in gases. The research related to these interests led to one of the most important discoveries in the development of our understanding of the structure of the atom. We will save that story for next time. Research on the vortex atom provided many interesting results. 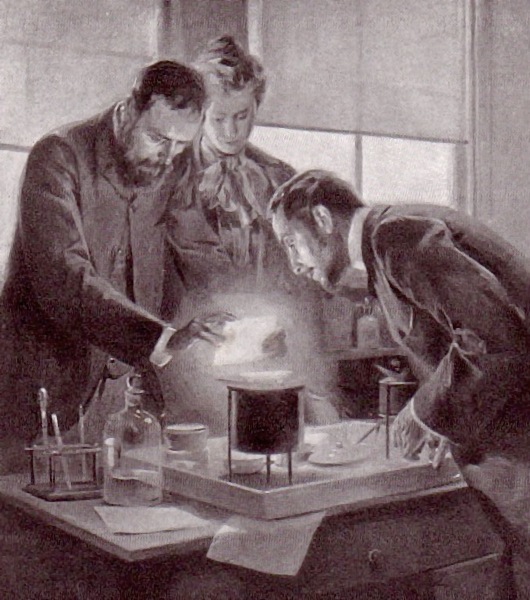 However, as the 19th century was winding down, the vortex atom was falling out of favor with scientists. About 1883, Kelvin started expressing concerns. 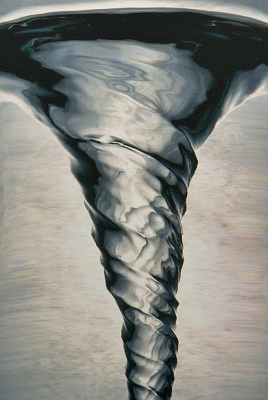 He worried that the vortex atom could not explain inertia or gravitational attraction. (Perhaps he should not have worried about gravity; it is still somewhat perplexing.) Eventually he concluded that Helmholtz’s rings were not as stable as he had originally thought. By 1898, he wrote to an emeritus professor at MIT: “I am afraid it is not possible to explain all the properties of matter by the Vortex-atom Theory alone … We may expect that the time will come when we shall understand the nature of an atom. With great regret I abandon the idea that a mere configuration of motion suffices.” (Quoted in Silliman). In the early 20th century, both experiment and theory concluded that the ether did not exist. However, the development of the theory contributed to several mathematical advances (e.g., theory of knots). Vortex atoms kept a lot of scientists, particularly in the U.K. and U.S., busy for quite a while. In the long run it proved to be a dead end in terms of explaining the structure of matter. However, the development of the theory led to many useful mathematical results, some of which are being revived for other purposes today. It also provided a beginning for J.J. Thomson. Thus, while the theory did not meet the goals of its originator, it did help advance science and thoughts about the structure of matter. The Karlsruhe Conference of 1860, which we discussed last time, ended by making some progress toward decreasing the chaos in chemistry but without reaching most of its organizer’s goals. By the end of the conference, Stanislao Cannizzaro provided the participants some structure and information on which they could build. That information was particularly valuable to two young chemists – Julius Lothar Meyer and Dmitri Mendeleev. 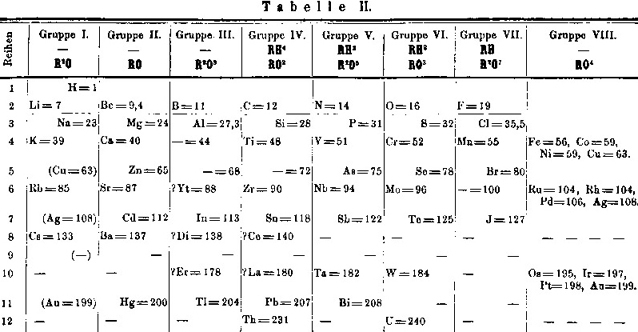 Prior to the Karlsruhe Conference, confusion existed over the atomic weights of some elements. 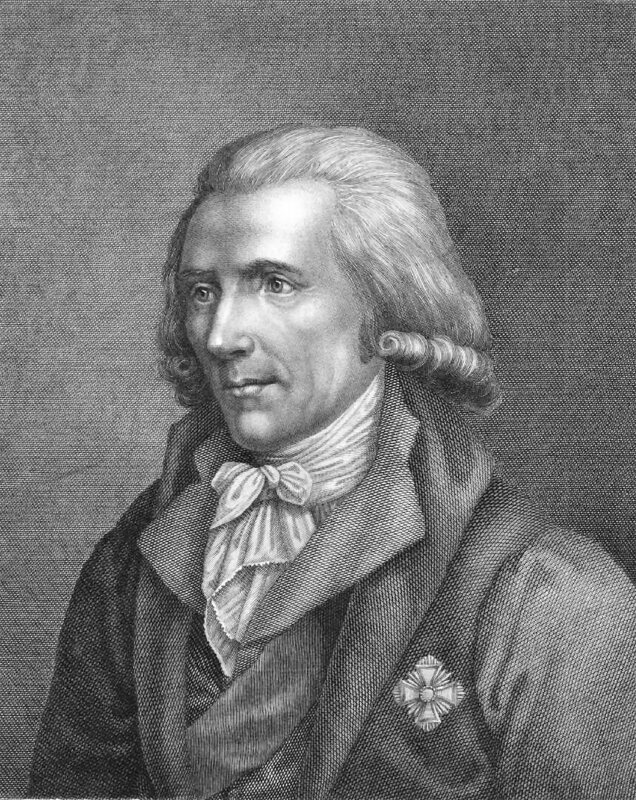 Cannizzaro had helped clarify some issues by reminding the participants of Amedio Avogadro’s work that equal volumes of any gases contained equal numbers of particles. Cannizzaro had used his knowledge to sort out some of the issues related to whether they were studying molecules made of atoms or just a single atom. Thus, the chemistry community now had a much more accurate list of atomic weights for the elements. This list was still not entirely correct, but it enabled people like Meyer and Mendeleev to make some real progress in understanding the relations among the elements. With a list of elements and their atomic weights, a chemist could organize the elements in order of increasing atomic weight and see if anything interesting popped out. Today, this seems rather trivial, but in the 1860s, it was not obvious to everyone, even many accomplished chemists, that such a list would have any interesting properties. 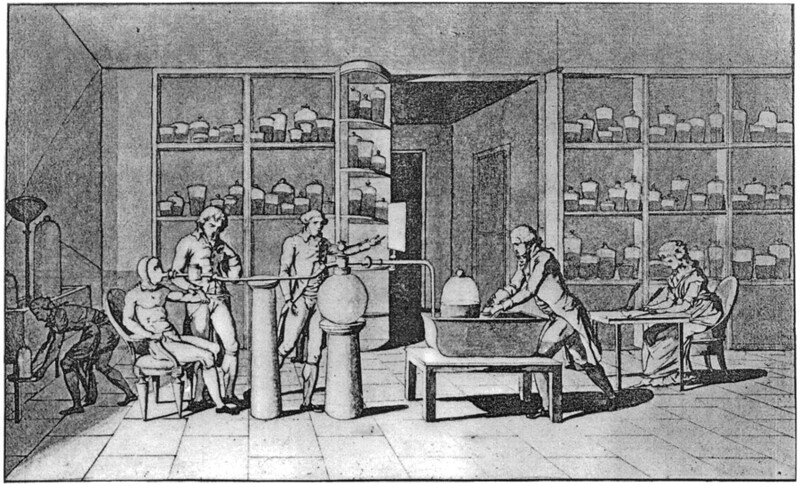 In the historical literature today, six chemists are credited with pursuing this type of research. We will take a brief look at two of them who were at the Karlsruhe Conference and whose work still endures, although only one of them gets the lion’s share of the credit. Julius Lothar Meyer and Dmitri Mendeleev were professors, and in the 1860s were writing chemistry textbooks. A question that faced any chemistry textbook author at that time was how to organize the presentation in the book. Because chemistry did not have an agreed upon foundation, they needed to invent organizational schemes for their writing. Thus, one of the issues was the order in which to present the elements. Meyer was the first of the two to order the elements by atomic weight. He then noted that he could see regular changes in other properties of the elements. For example, potassium, rubidium, and cesium had particularly large volumes; they also tended to combine with only one hydrogen atom when making molecules. Elements with atomic weights between two of these elements had smaller volumes and would combine with larger number of hydrogen atoms. In his table, he made rows which increased in atomic weight with columns in which the elements in any one column had similar properties. By 1862, he developed the table shown below. There is a lot of information in the table that I won’t discuss here. The most important features are the general order of the elements, the similar properties of the elements in the vertical columns, and that Meyer left blanks (dashed lines) where no known element fit the necessary properties. Mendeleev was somewhat slower off the starting blocks. 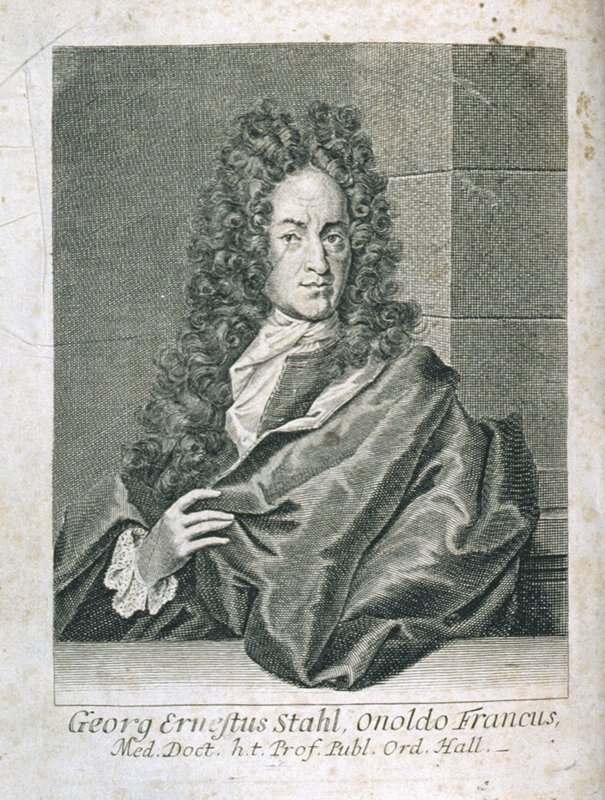 After the Karlsruhe Conference, he did not immediately begin using Cannizzaro’s ideas about atomic weights. His lecture notes from 1865 still show the old system. By 1868 when trying to organize the second volume of his textbook, he was using atomic weights. However he was apparently unaware of Meyer’s work even though it had been published several years earlier. And Mendeleev had studied in Germany, so he knew the language. In addition to being a professor Mendeleev worked with the Free Economic Society of St. Petersburg. He had received a letter, dated February 17, 1869, which discussed arrangements for him to make an inspection of a cheese factory. Such a letter would be insignificant today except that Mendeleev used the back of the letter to sketch out his first ideas about a periodic table. Later that same day, he wrote out in some detail his idea for a periodic table. By 1871, his table was looking a lot like the ones we see in chemistry labs today. As with Meyer, Mendeleev left blanks where no known element seemed to fit. He them made predictions about properties of elements to be discovered. Volumes have been written about the history of the periodic table, so I won’t repeat that information here. If you are interested, a readable book is Eric Scerri’s The Periodic Table. Meyer and Mendeleev argued for essentially the rest of their lives about who should receive credit for the periodic table. In fact, Mendeleev continued the argument after Meyer died in 1895. So why does Mendeleev get essentially all of the credit for discovery the periodic nature of the chemical elements? Some historians claim that Mendeleev’s predictions made his work more famous. However, Scerri notes that Mendeleev made as many wrong predictions as he did correct ones. An interesting view is that the credit had more to do with international politics than science. In the early 20th century, the Soviet Union was a rising economic power; Germany was disliked because of the World Wars. Thus, the Russian/Soviet scientist received the credit. See “An Element of Order” in Chemical Heritage Magazine for more on this idea. Today, we use atoms and particularly the way electrons arrange themselves in the atoms to explain why the periodicity exists in the properties of atoms. However, neither Meyer nor Mendeleev needed atoms to create their tables. They worked with the physical and chemical properties of the elements. Meyer apparently occasionally mentioned atoms, but he died before the discovery of the electron. Mendeleev had no room in his system for electrons. He even did not like the discovery of the noble gasses. They did not fit in his system. (Today they are tacked on the far right side of the periodic table for good reason – their electronic structure.) So, even though we see atomic structure as the underlying principle that explains the periodic table, its discoverers had little or no reason to think about atoms. Next month, we will step back in time to follow the beginnings of a thread that was running parallel to the developments in the properties of the elements. We will see how scientists starting looking at light being emitted by atoms, even though they did not yet know the origin of that light. By the middle of the 19th century, chemistry was in a state of disarray. 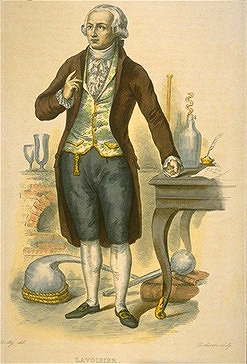 Dalton, building on ideas developed by Lavoisier, seemed to have established that a model using atoms and molecules was the best way to understand chemical reactions. Avogadro and Ampere had added strength to these concepts with the conclusion that equal volumes of different gasses contained equal numbers of particles. Yet, well-respected researchers such as Dumas raised serious questions about the atomic hypothesis. In addition, within the chemistry research and teaching community different definitions of fundamental terms such as “atom” and “molecule” created confusion. Likewise, no consensus had been reached on the makeup of many common substances. 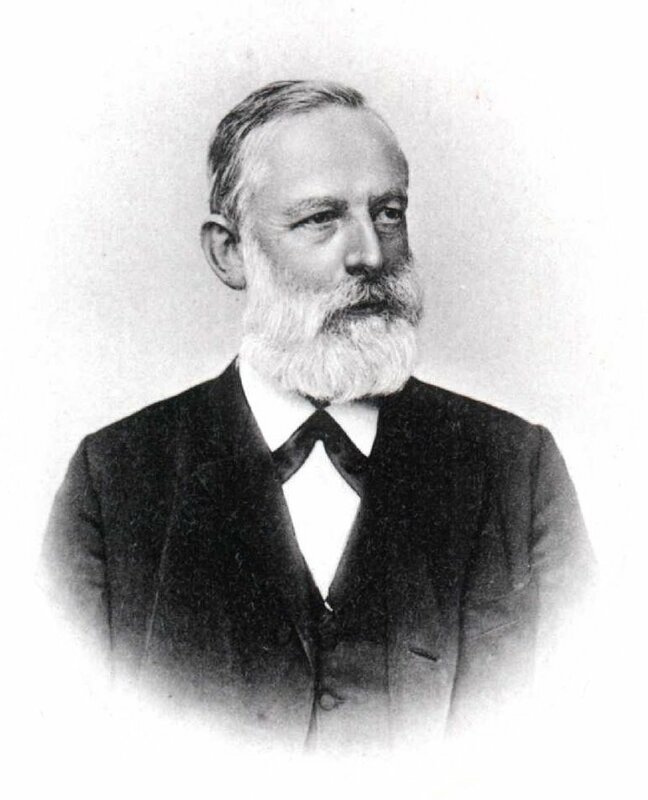 For example, J. Lothar Meyer (1830-1895) described the situation then as ” there was much confusion, every substance, even the simplest, had a series of formulas, e.g. water : H2O or HO or H2O2 … Even a simple compound such as vinegar could have enough proposed formulas to fill an entire page.” Meyer did not randomly select vinegar as one of his examples. 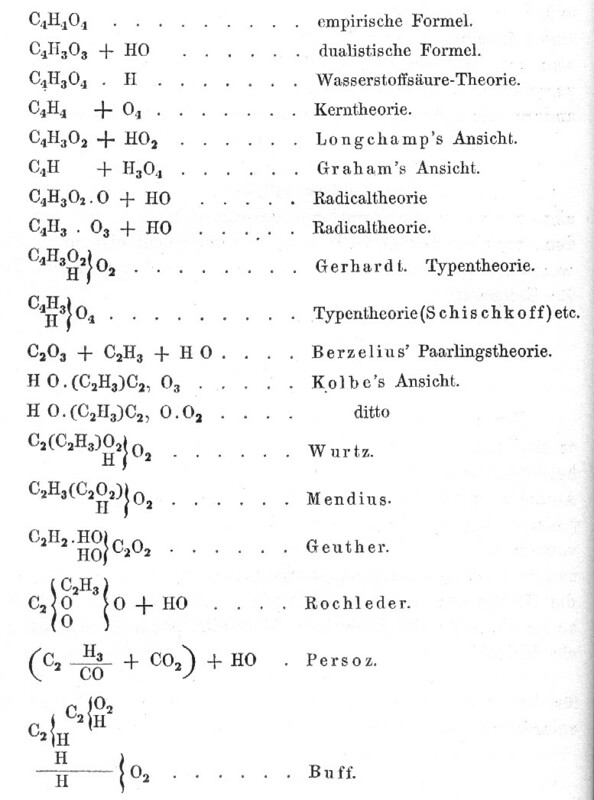 In a textbook, Friedrich Kekulé (1829-1896) had included a table with 19 variations on the formula for acetic acid, the primary ingredient in vinegar. This situation led Kekulé to propose that chemists needed to get together and work out some of these differences. He enlisted the aid of Carl Weltzien (1813-1870) and Charles Wurtz (1817-1884) to arrange the meeting. In 1859, Kekulé suggested that they organize an international conference of chemists in Karlsruhe, Germany, where Weltzien was a professor of chemistry. 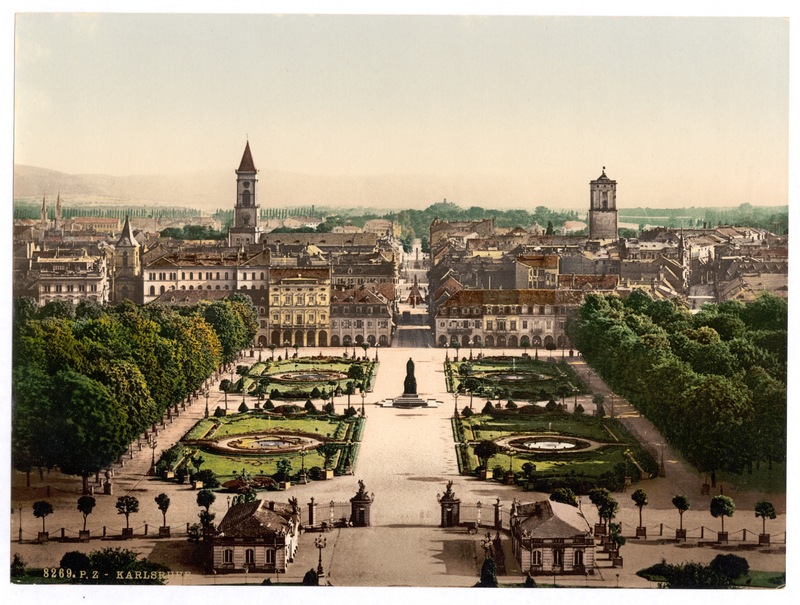 Karlsruhe was selected because it was considered a location that would be attractive to a large number of chemists and because the grand duke of the region, Frederick I (1826-1907) was a patron of the sciences. Thus, the location for the first international conference of scientists was chosen for the same reasons that many such conference locations have been chosen since then – an attractive location and someone who will help pay the bills. The conference was organized to assure that the important issues were discussed rather than individuals giving talks about their own research. (This factor is different than most international scientific conferences today.) A summary of the conference, written by Wurtz, indicates that the discussions were sometimes heated. However, after three days very little was resolved. The only direct vote was to allow continued use of a rather old set of formulas. While the goals of the conference were not reached, several useful items did come out of the effort. 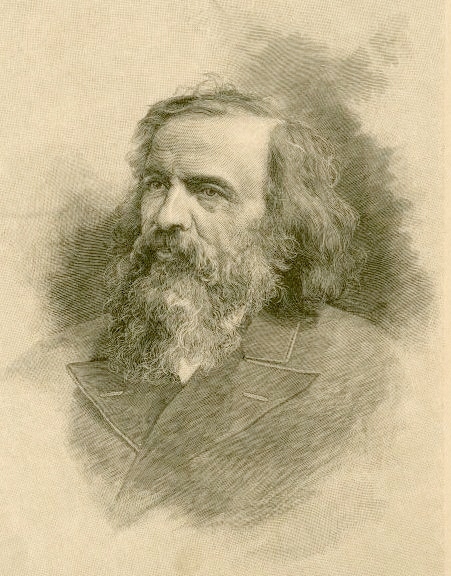 A frequent contributor to the discussions was Stanislao Cannizzaro (1826-1910). 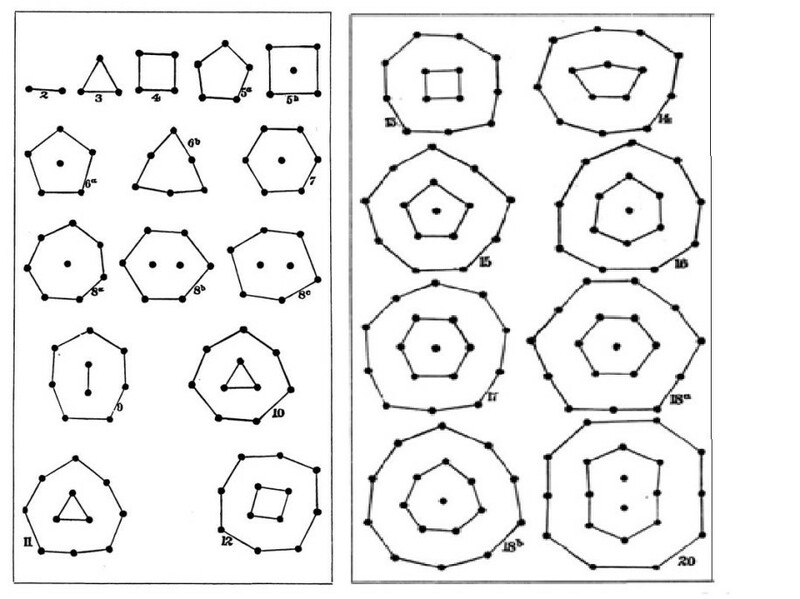 In 1858, Cannizzaro had written a long letter which was later published as “A Sketch of a Course of Chemical Philosophy.” In this work he described his view on the importance of the hypotheses of Avogadro and Ampere. One of his concerns was that many mid-19th century chemists were not recognizing this importance. He also argued forcefully for making distinctions between atoms and molecules. At the end of the conference Cannizzaro’s paper was distributed to all of the participants. Mary Jo Nye, a historian of science, states “[This paper] became central to chemistry in the late nineteenth century and especially to the revival of interest in Avogadro’s hypothesis of the relationship between gas volumes and numbers of gas molecules.” Thus, by providing a means to deliver Cannizzaro’s thoughts to a large number of chemists, the Karlsruhe conference helped provide progress in chemistry and the value of atomic models. Among the Karlsruhe participants were Julius Lothar Meyer and Dmitri Mendeleev. Within a few years after the conference these chemists would create period tables which would bring much order to our understanding to the chemical elements and the atoms. Again the Karlsruhe gathering helped these people move forward on an important aspect of understanding elements, atoms, and molecules. We will look at that those developments next time. A coincidence connects these events to my current status. Stanislao Cannizzaro was born in Palermo, Sicily in present-day Italy. From 1861 to 1871, he served as a professor of chemistry at the University of Palermo. Next week, the week of July 6, an international conference on the teaching of physics will occur at that university. By the time that this article is posted, I will be traveling to that conference.